1. I want to make the most of this month! It’s a gloomy time of year but I’m determined to go on a day trip, do a lot of vegan baking, take a lot of baths and sew myself a couple of skirts as well as hang out with the lovely people around me whilst I’m in York. I’ve been a little unsure about my “monthly goals” blog posts of late. I love reading other people’s and recapping on what I’ve done each month makes me more productive. As Socrates would say, the unexamined life isn’t worth living! However, not all of my goals fit within a monthly time-scale or are completely under my control (“get a good job” and “get into a masters course” have been monthly goals for a while now…) and I don’t want to set myself up for failure or start creating goals just for the sake of it. 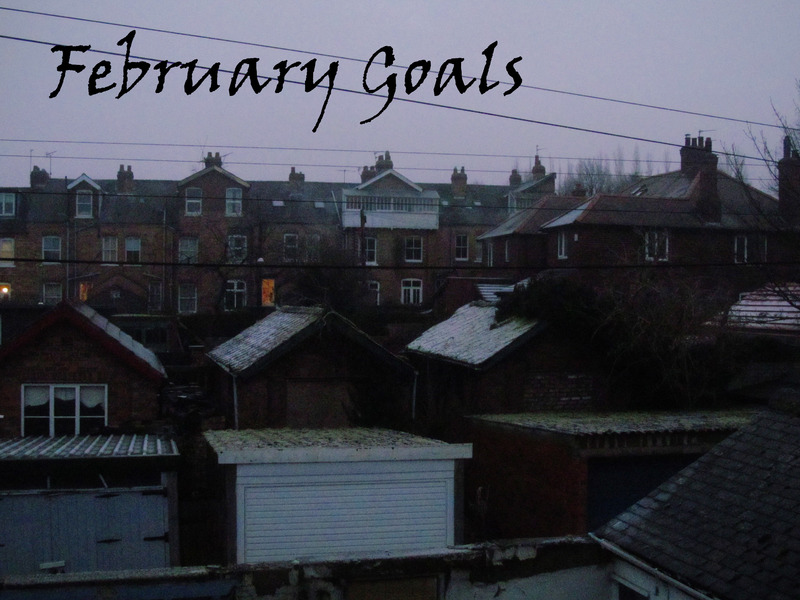 That said, I think my current goals are positive and achievable and I’m excited to get stuck into February! I have been busy organising my first blog giveaway, and I think you’re going to love it! Have you got any February goals? Well, these sound like very good goals to me, have fun realising them! I totally understand what you mean, it’s hard to set yourself realistic goals! However it’s great to read about your life. I hope that if you do take more everyday lifestyle pictures that you can share a few on here! I think it’s great to set smaller goals achievable in a shorter time span- and blogging about them definitely helps us be held accountable! Sometimes you can break the big goals down into smaller goals or steps that will lead to the big ones. Either way, strive for big things but don’t forget to enjoy the day-to-day! I’m excited for you on your lifestyle photography. Are you going to have it in a separate blog? Just a single photo of what makes your day happy can be your little step in pursuing your goal.